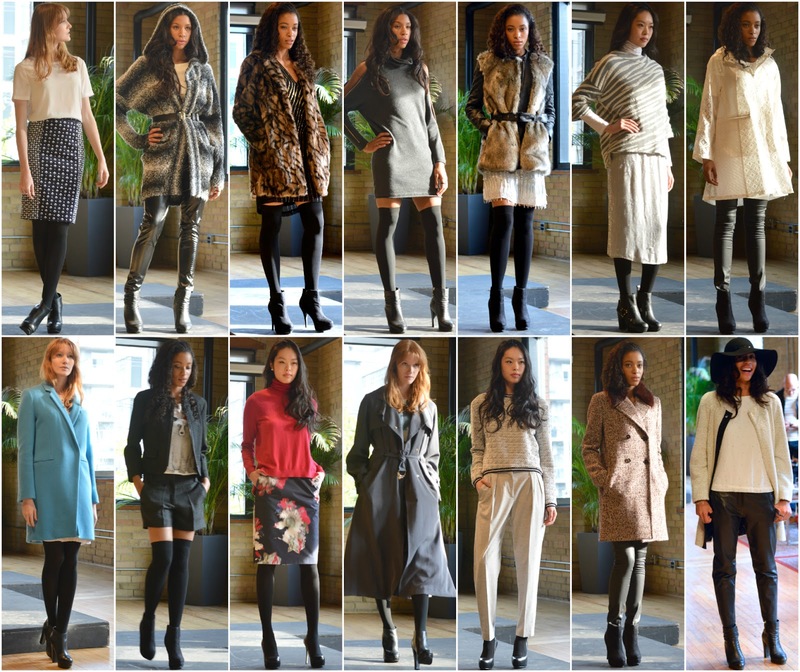 Last Tuesday, I was invited to see a preview of French Connection's Fall 2014 collection. The event was quite intimate, with only a few attendees and an informal runway. We were able to ask the models questions, look closely at the fabrics, and truly get a good feel for the trends to come. 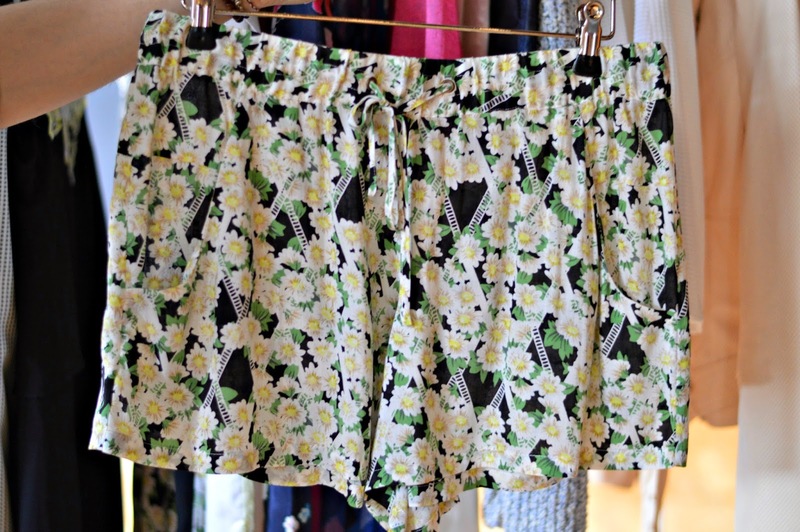 They also brought out racks from the current spring collection, and I completely fell for these adorable shorts. They could be thrown on with a white tee during the day, then dressed up with a loose black blouse for night. These shorts are in the Tropicana Check print and should be available in-store, but I was only able to find the trousers online, here. I love wearing jewel tones all year round, but especially during the fall. This dress is in a crisp spearmint green which is just as fitting for springtime as it is for fall. This was a great opportunity to get some use out of my new metallic heels, which were featured in one of my last posts. Their two-inch heel height left my feet feeling completely pain-free after a good few hours of wear. It was so thoughtful of French Connection to host such a genuine presentation of their current and upcoming collections. This brand has been around for years, most commonly known for their infamous FCUK tees, or as an affordable option for formal dress wear. Their current philosophy is to provide shoppers with high-fashion, wearable items, without the steep price tag. Their prices range from $30-$300, putting the brand on-par with some other popular clothing stores. What makes French Connection stand out, is that even at this price point, the items will last for years to come. For a gorgeous jacket, like this blue one I was able to try on, spending around $250 will usually ensure quality fabric, detailed tailoring, and good-quality buttons that won't pop off. If you're like me, it has probably been a little while since you've shopped around a French Connection store. I will most definitely be frequenting their locations more often now, especially after seeing and feeling the wonderful items that make up this brand.